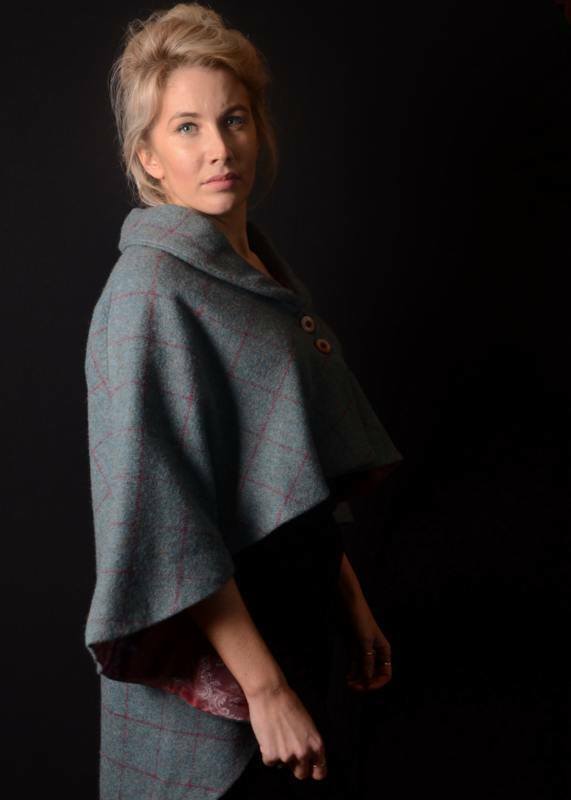 Our classic capes are made from the finest tweed materials of either Harris or locally sourced hand loom to the finest standard. 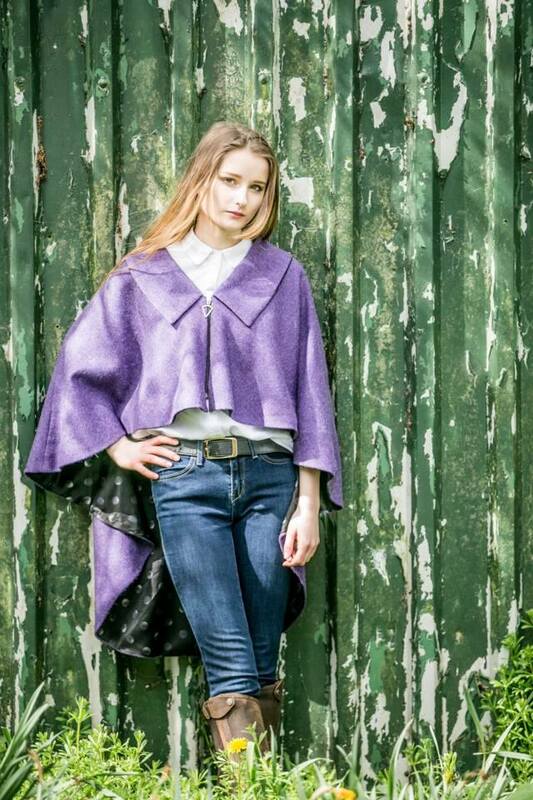 Luxury lining in either cotton or Paisley jacquard. 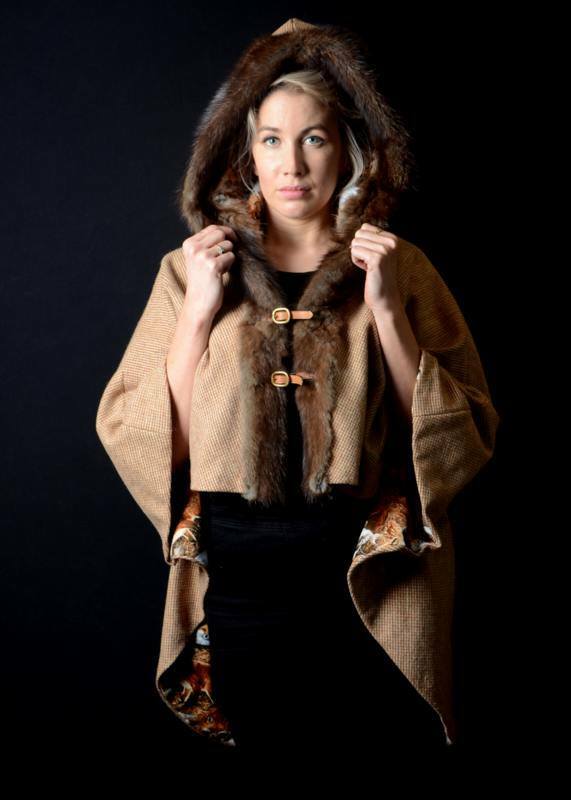 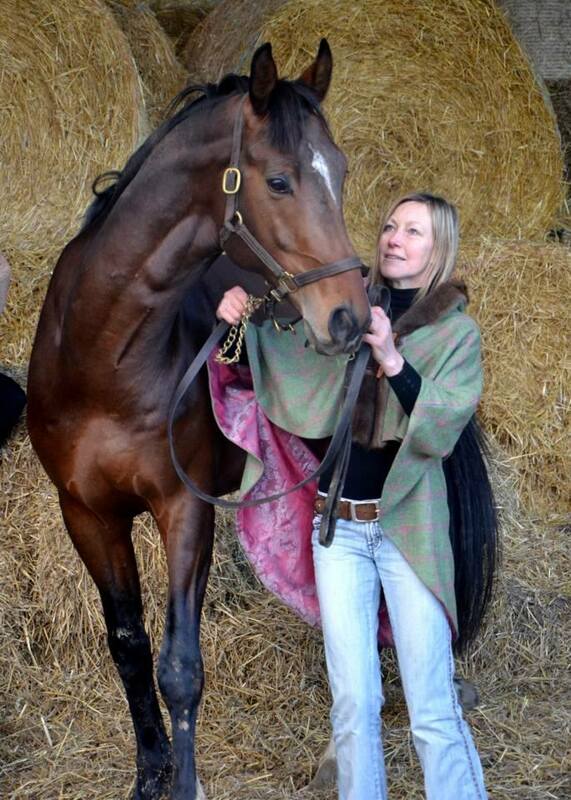 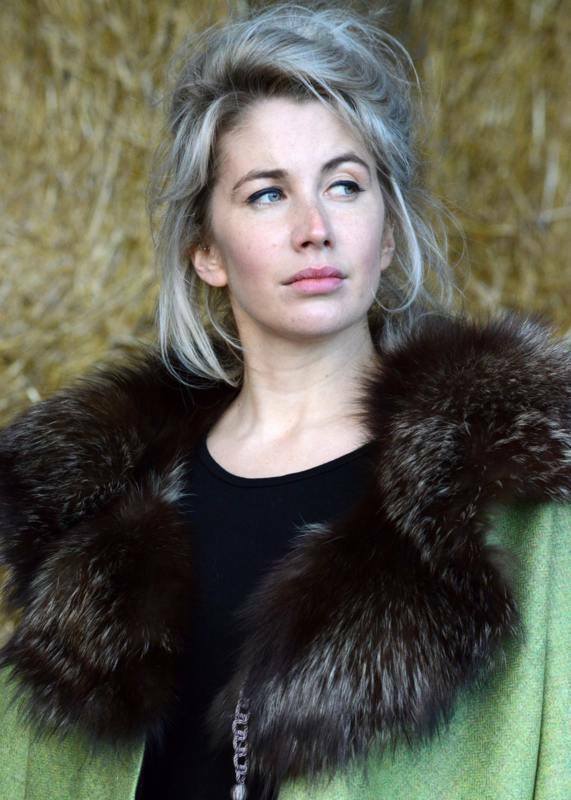 Hood option, sash collar, Chelsea collar or stunning fur. 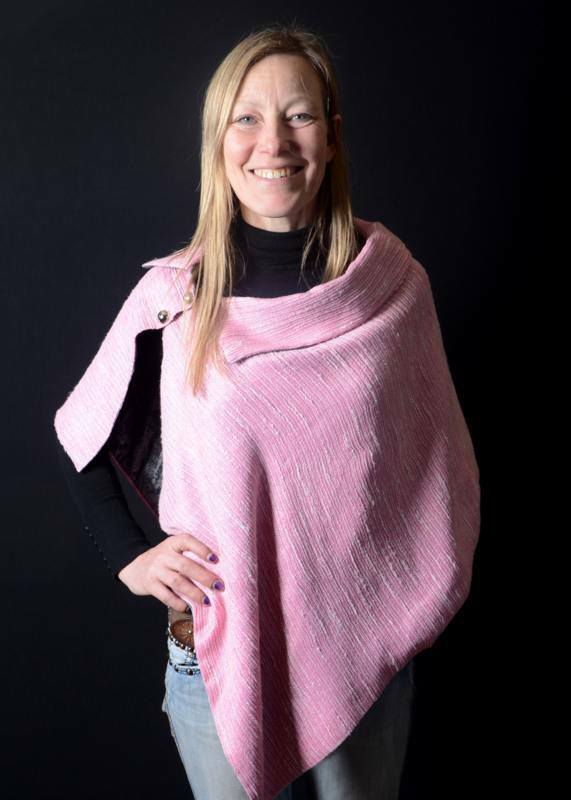 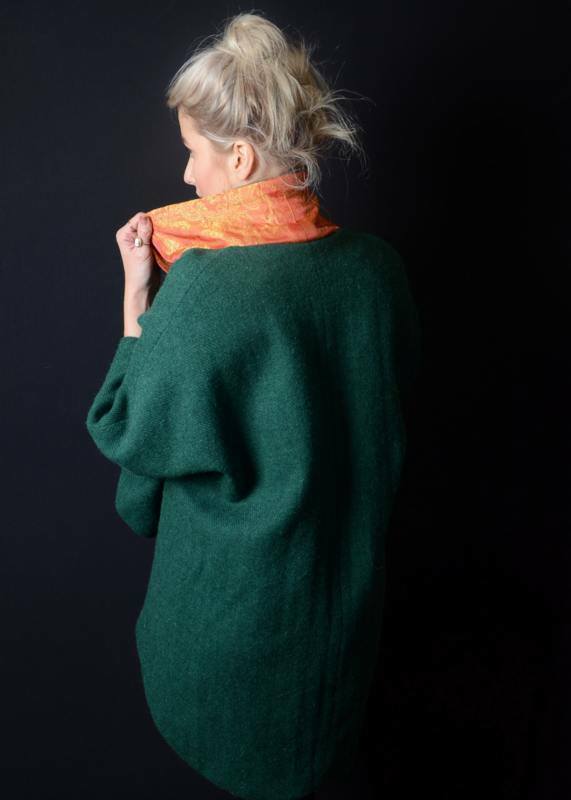 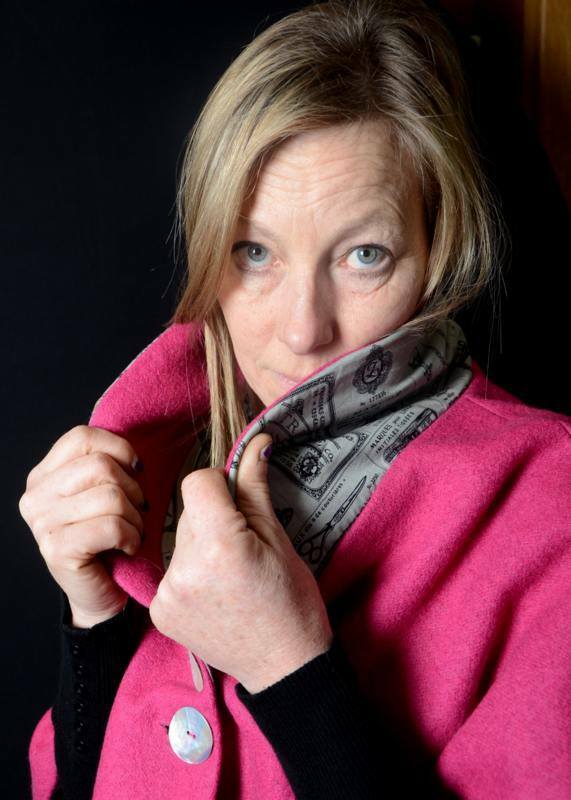 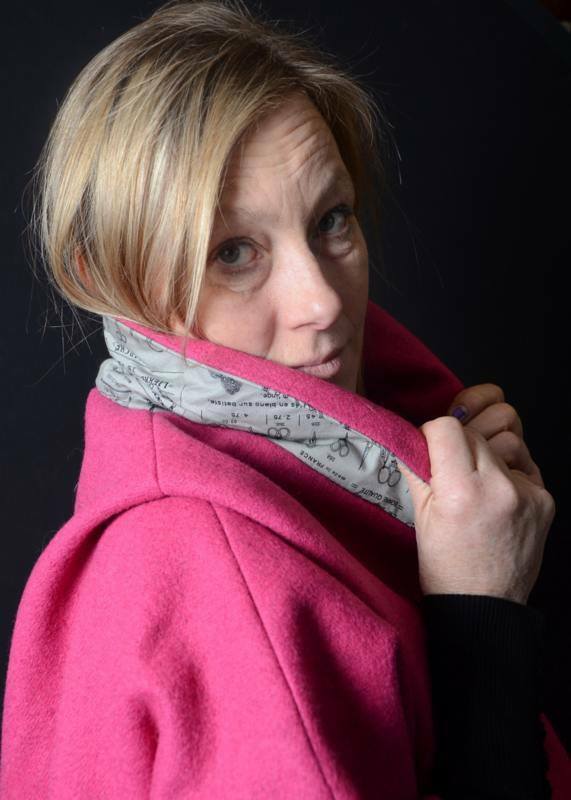 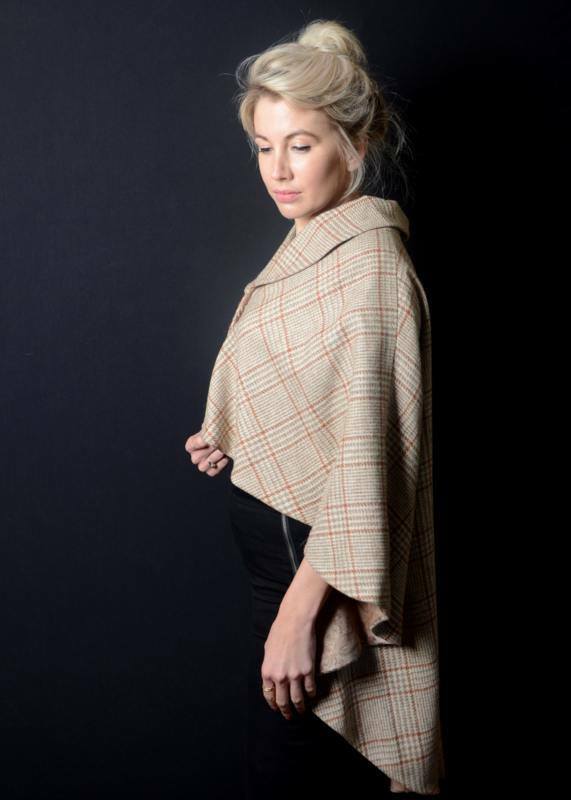 Our classic cut wrap with shawl cut neck. 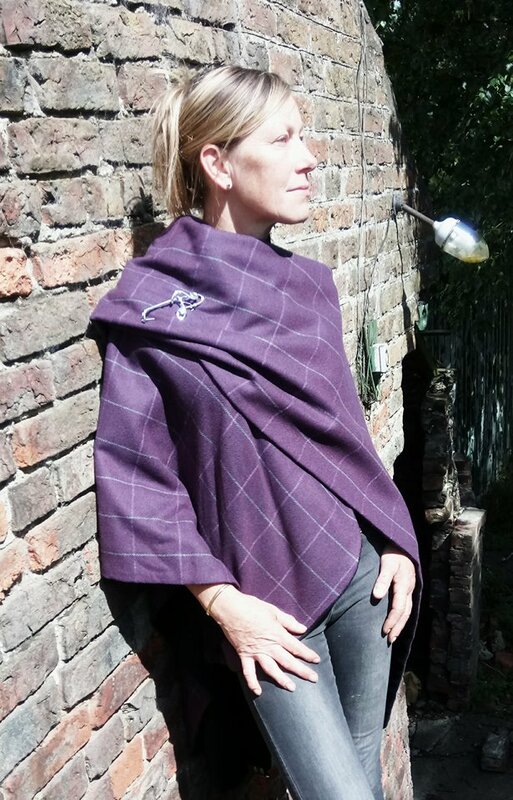 Slightly deeper fronted wrap with full length buttons. 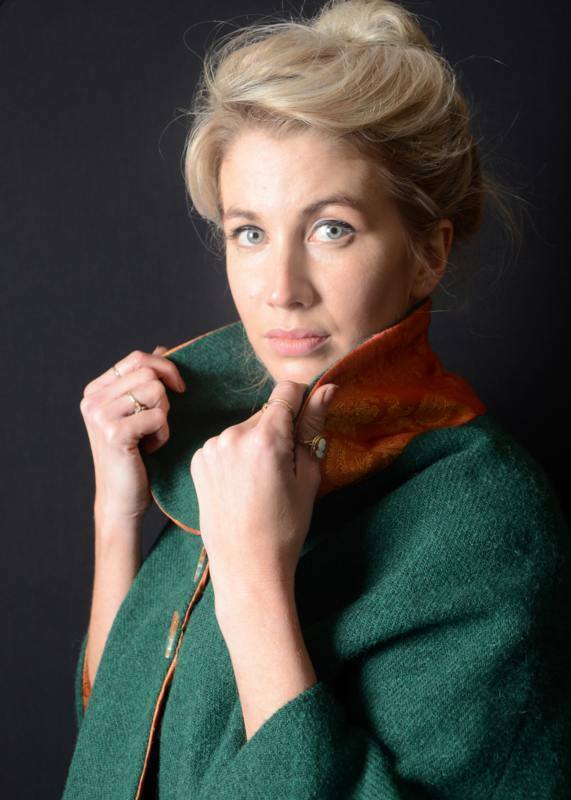 Chelsea collar. 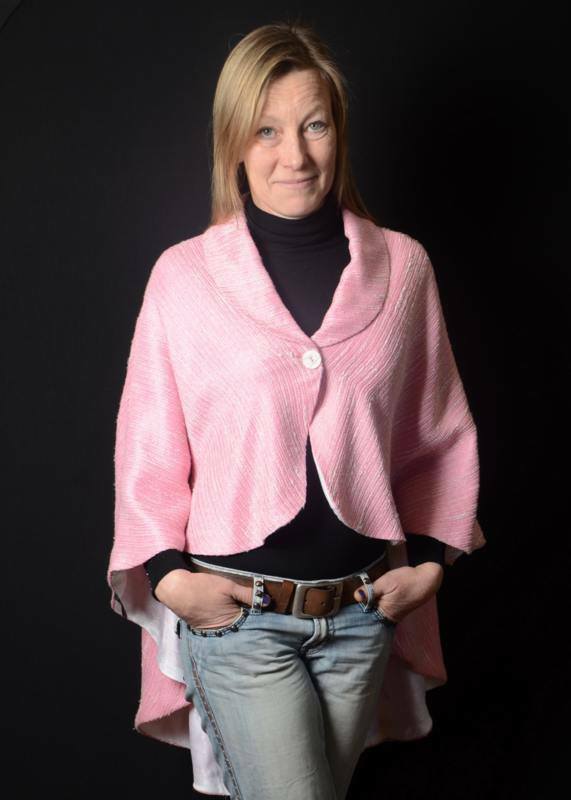 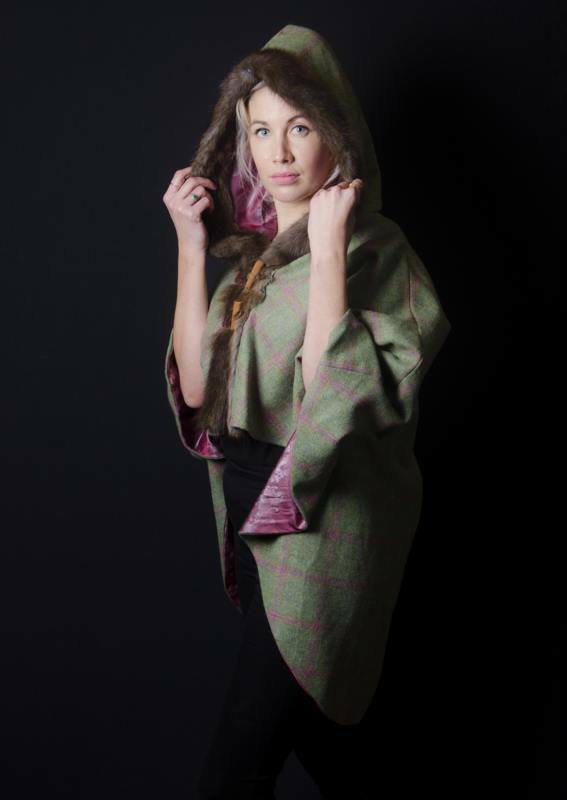 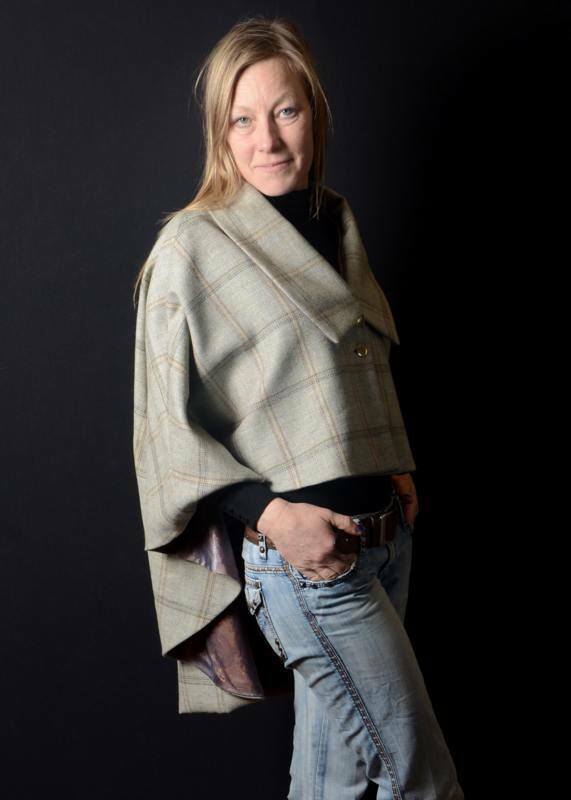 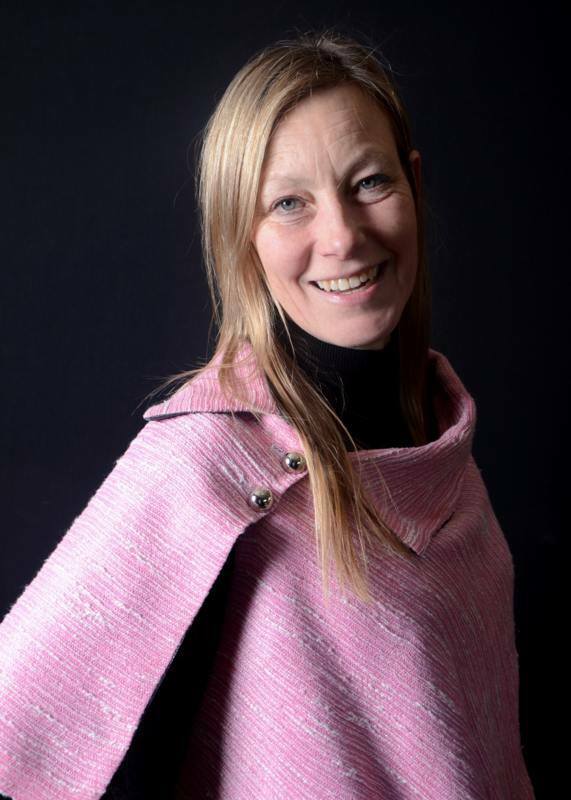 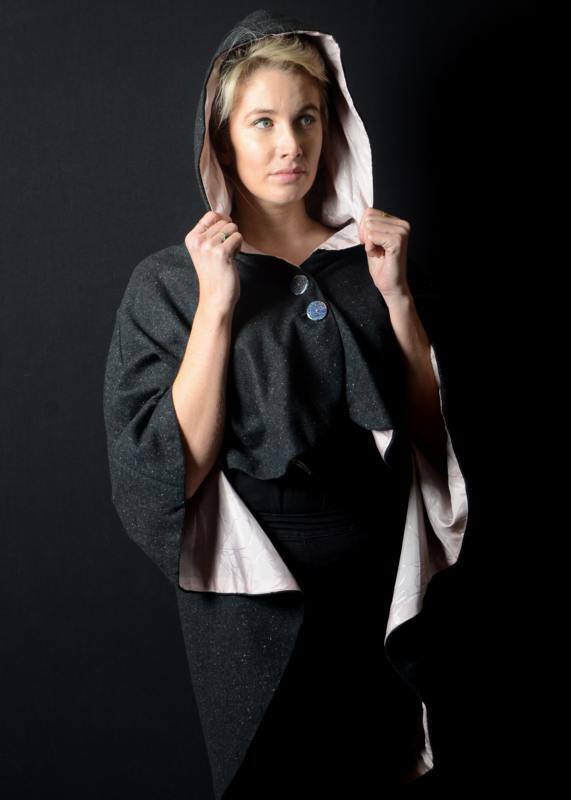 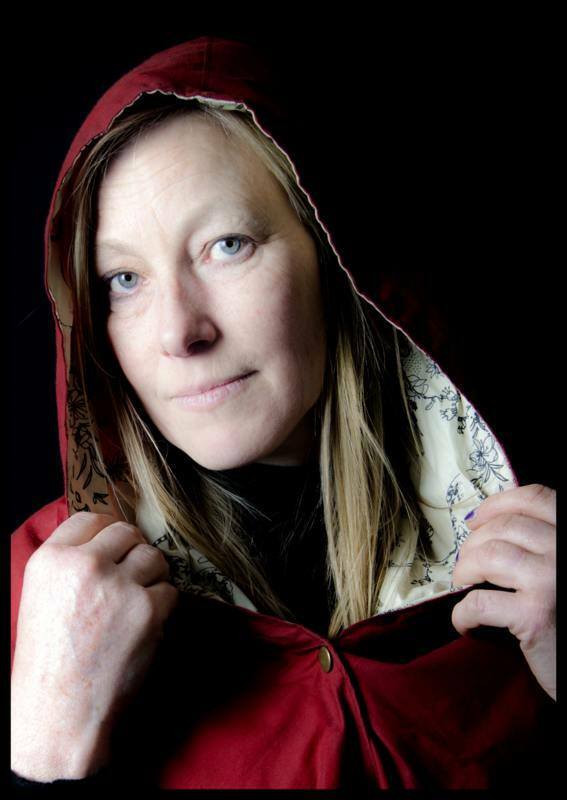 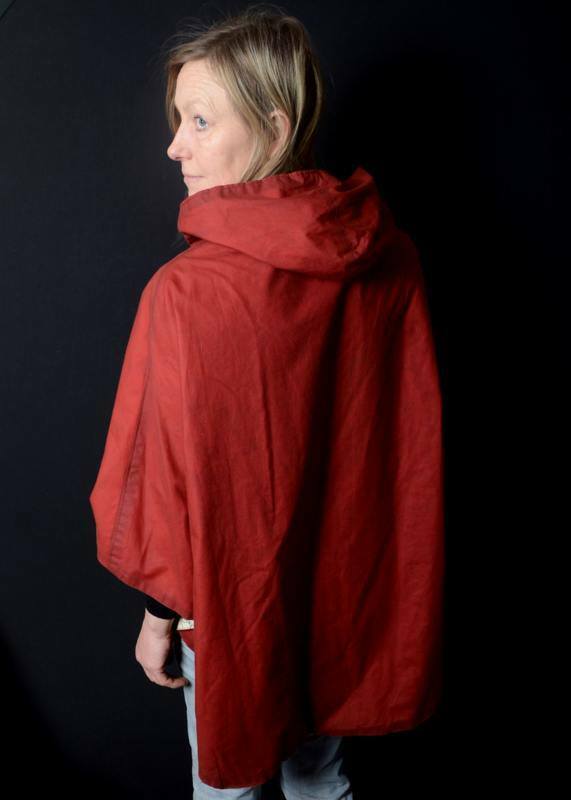 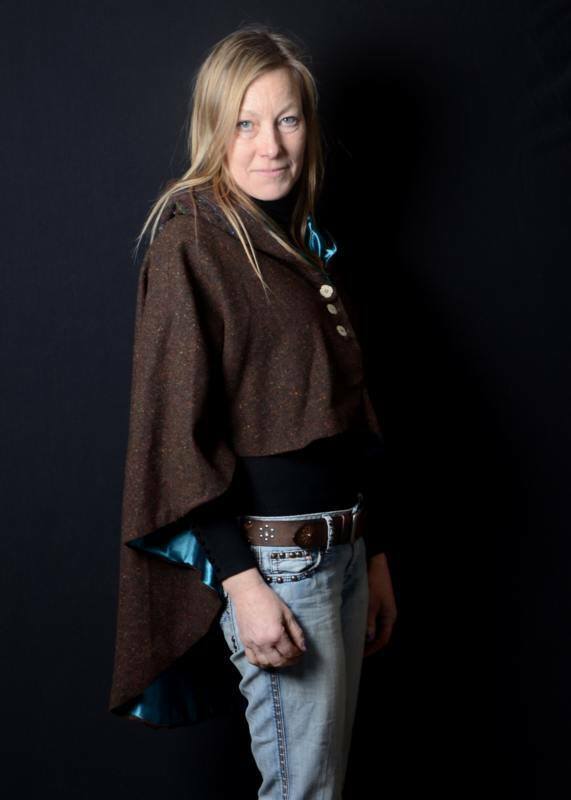 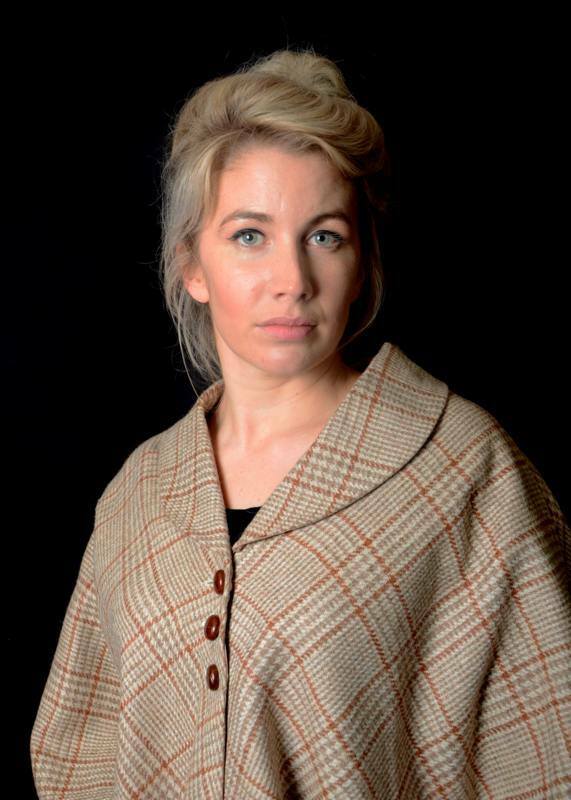 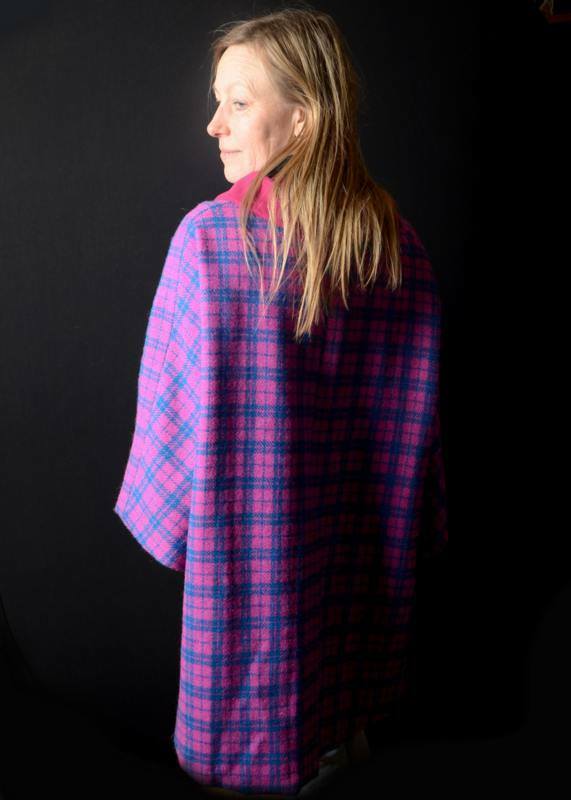 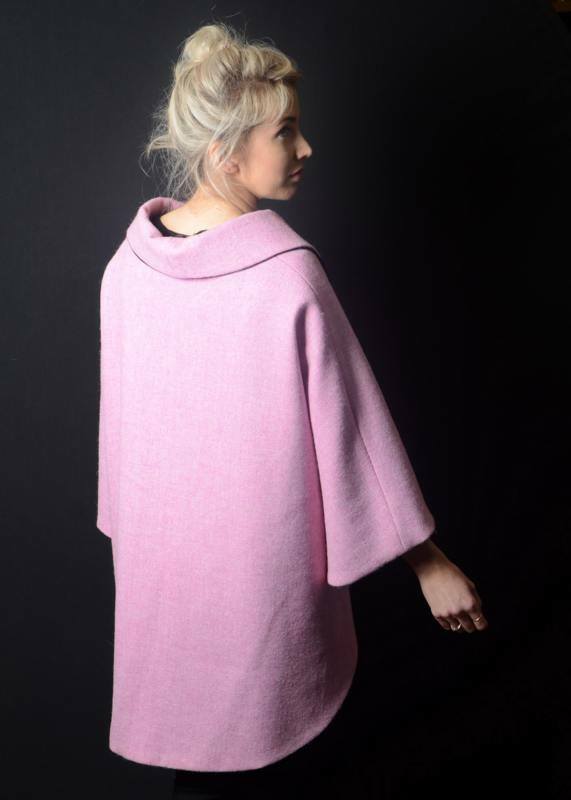 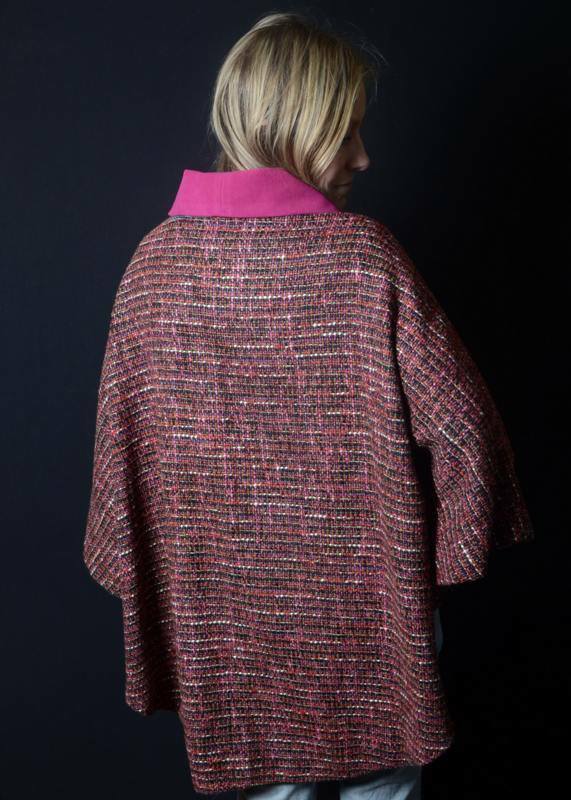 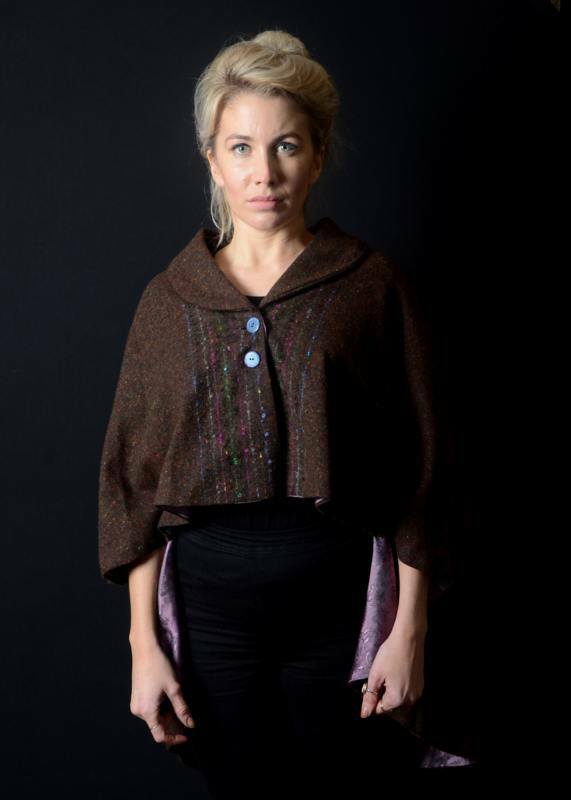 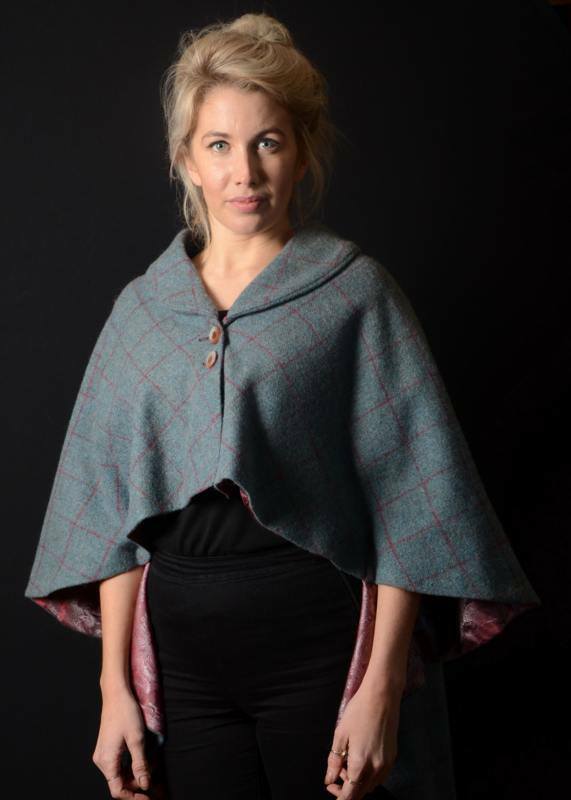 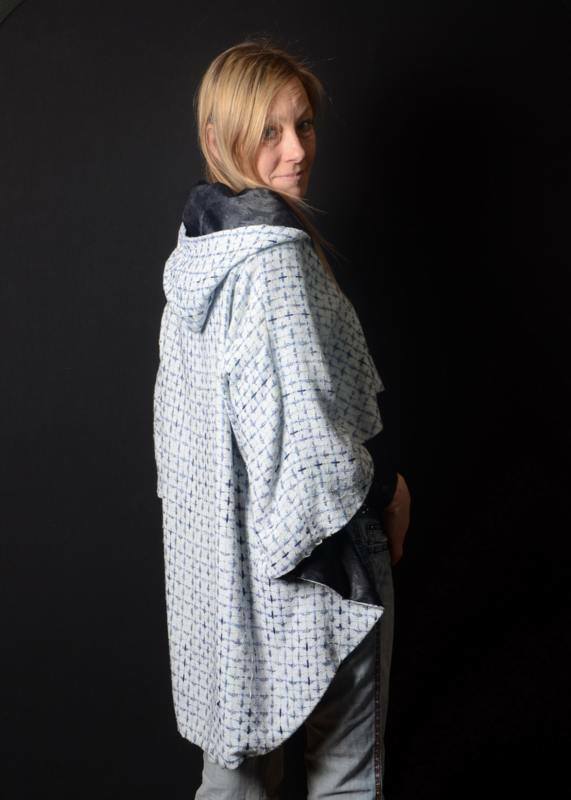 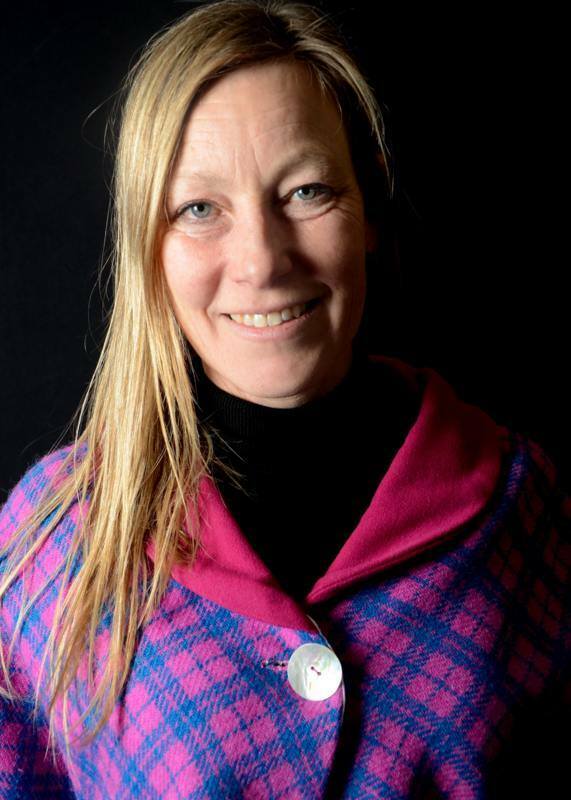 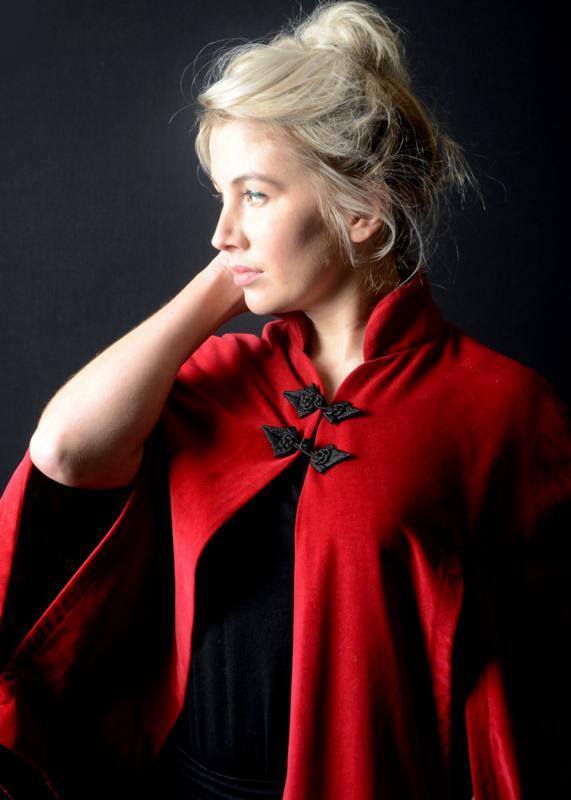 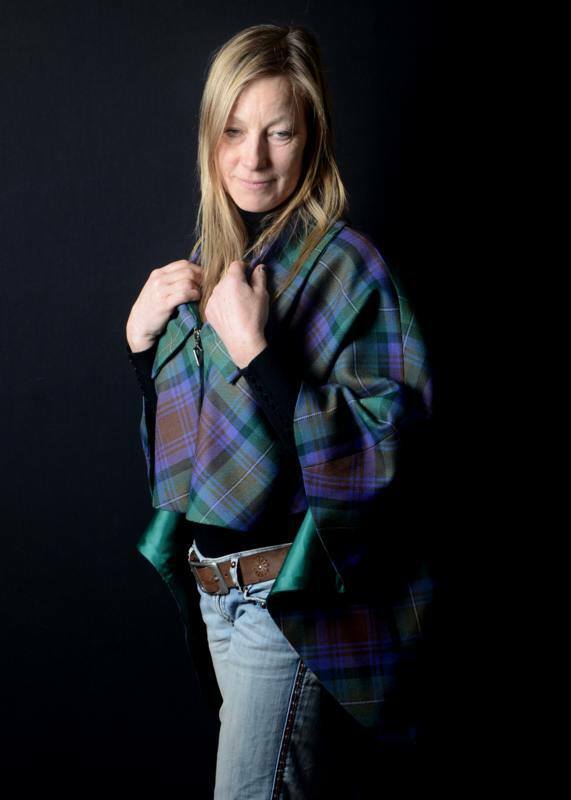 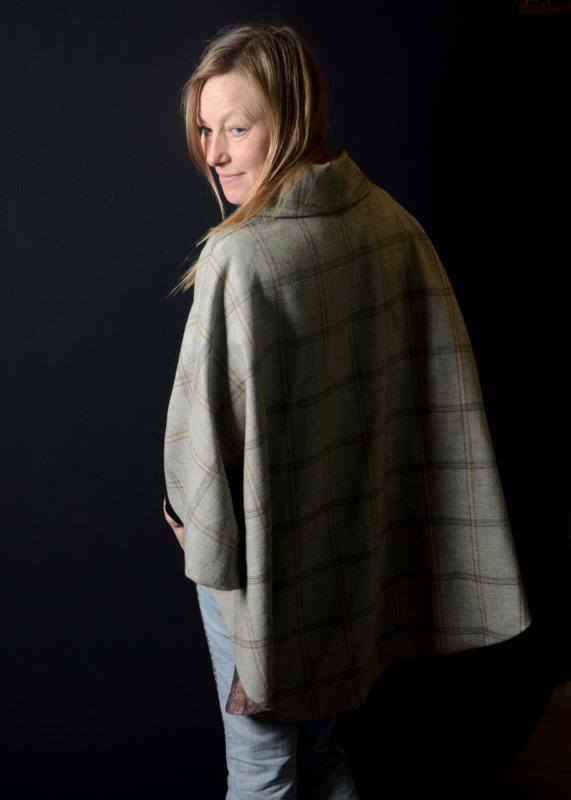 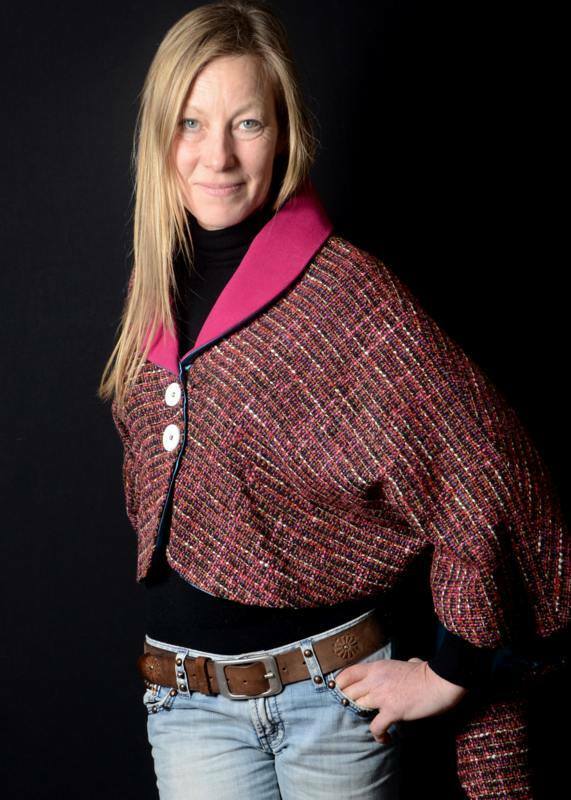 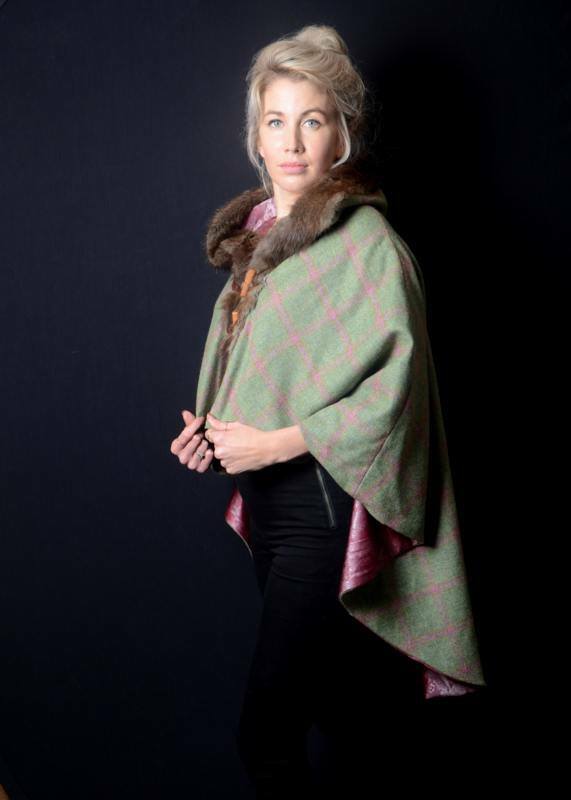 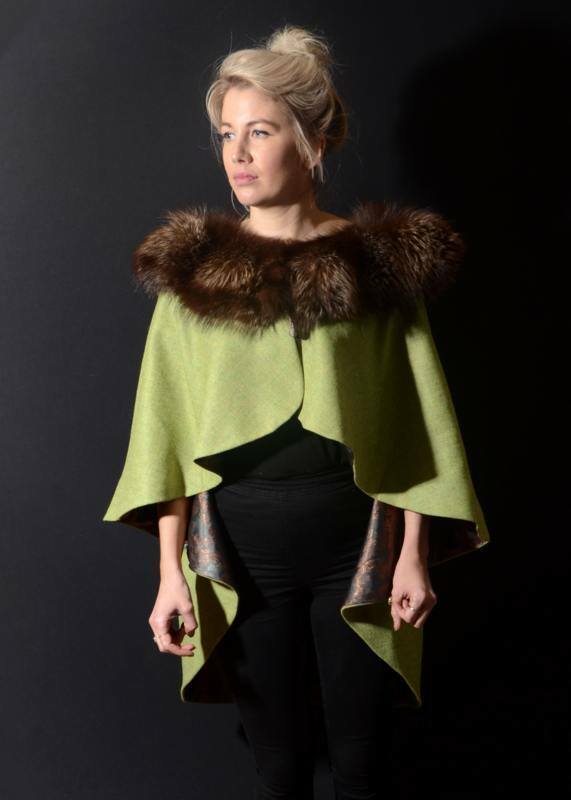 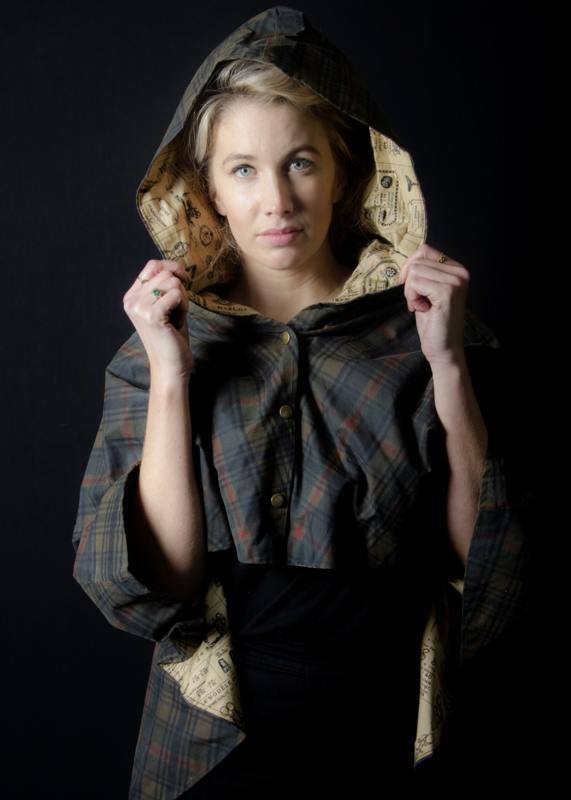 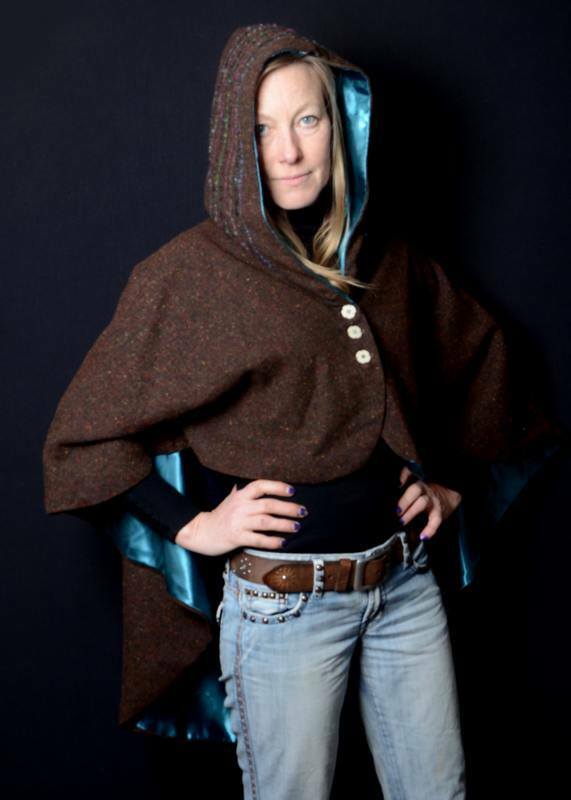 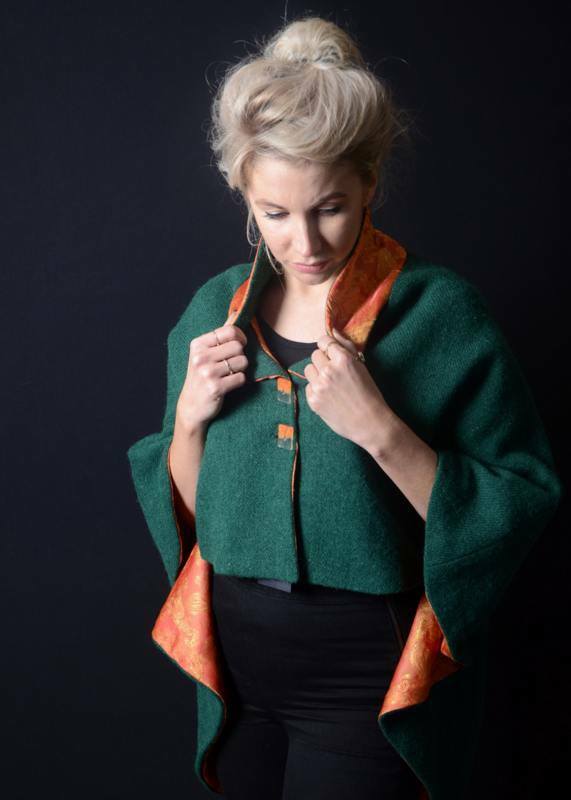 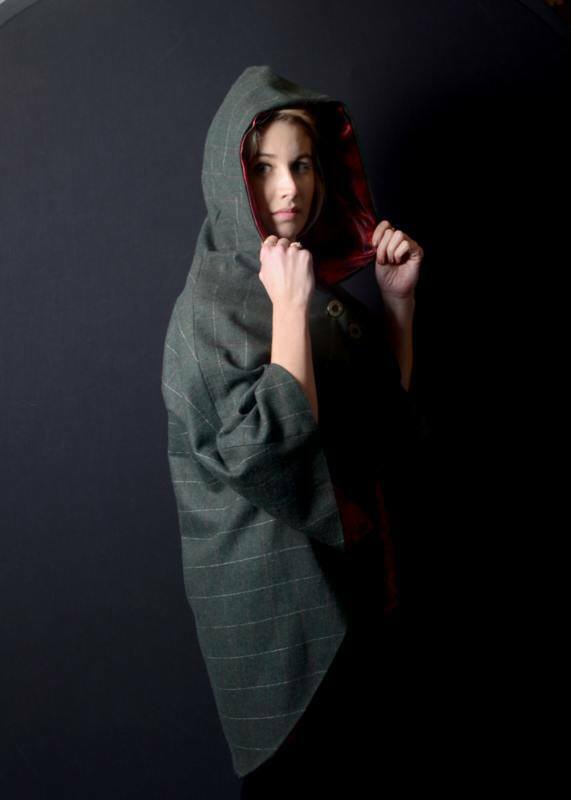 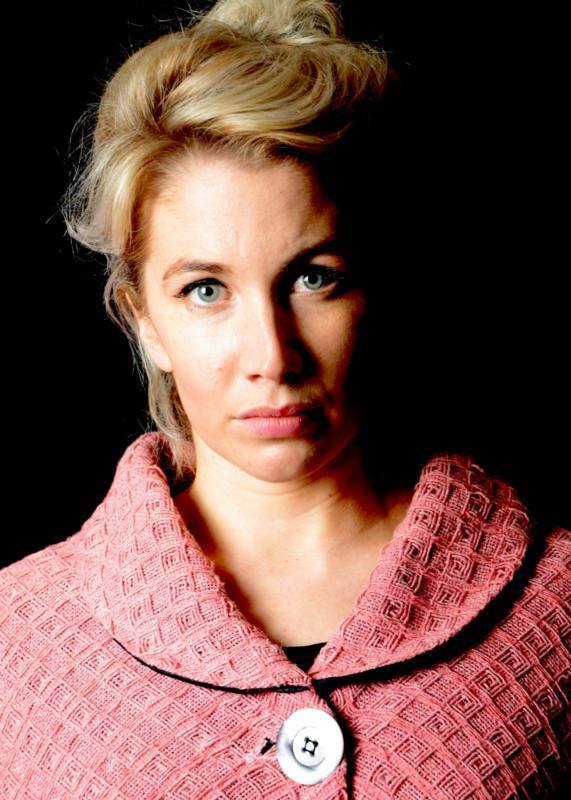 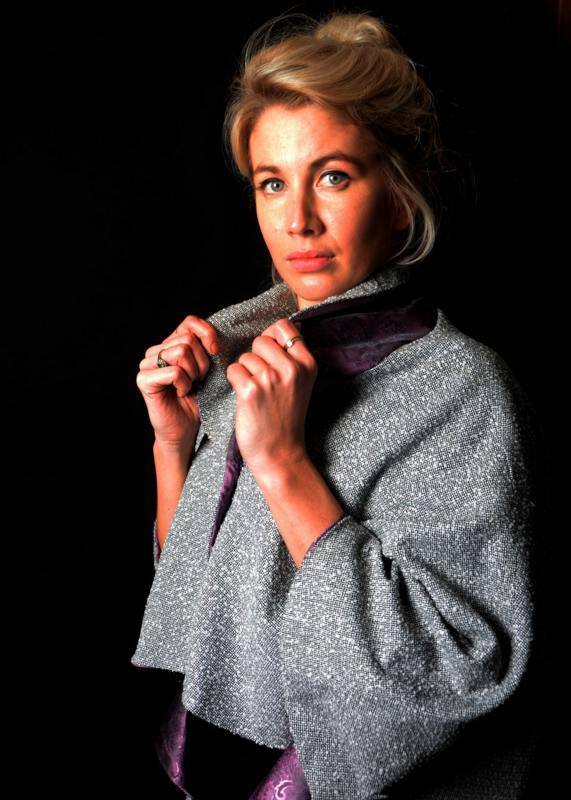 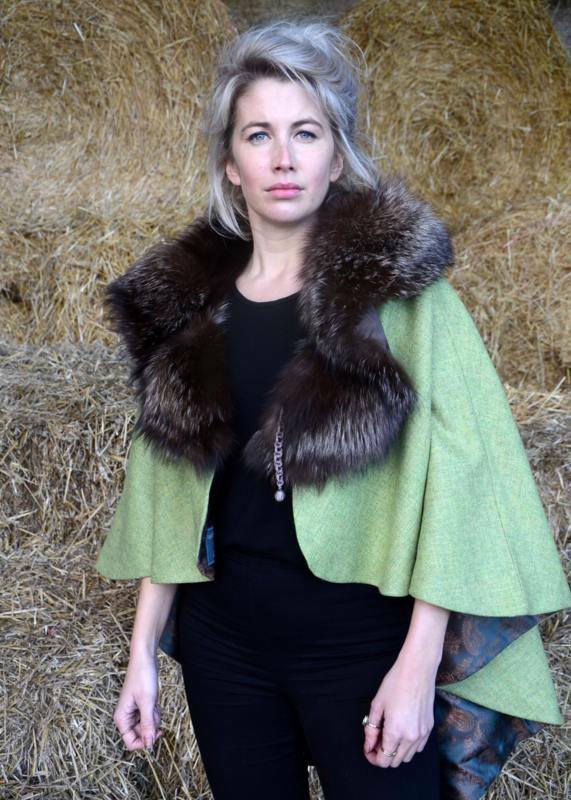 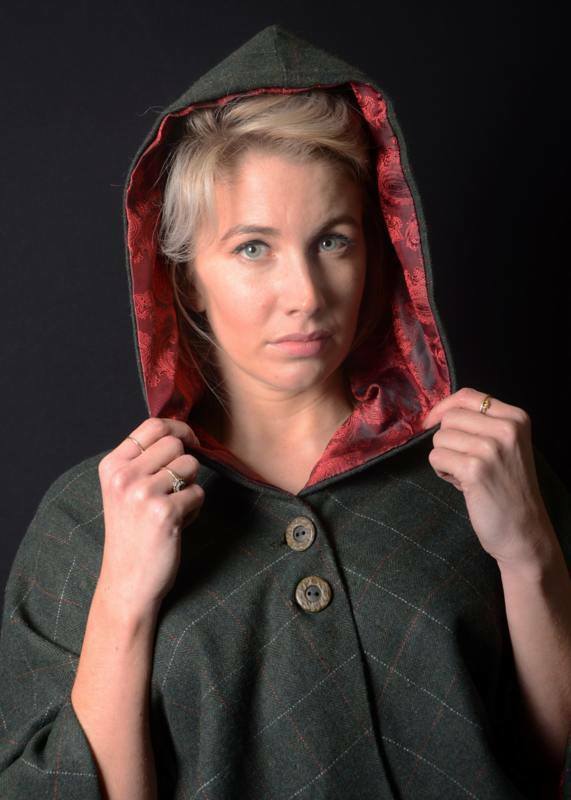 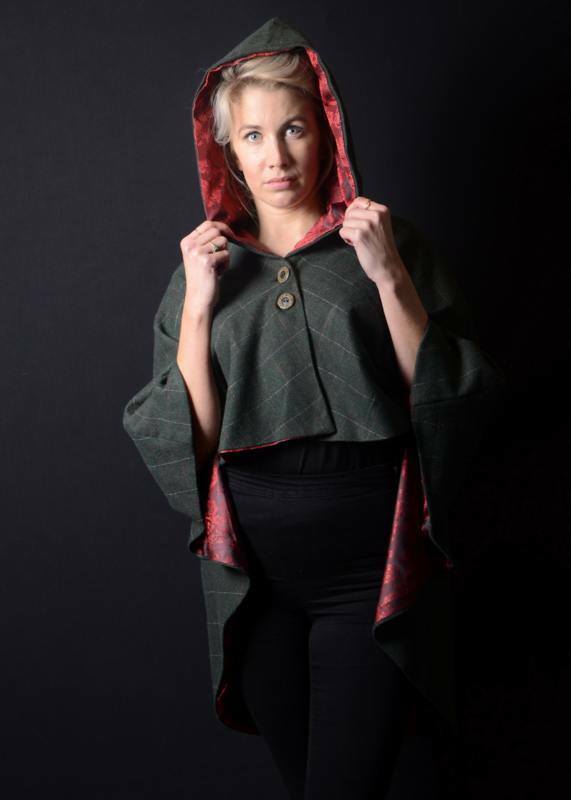 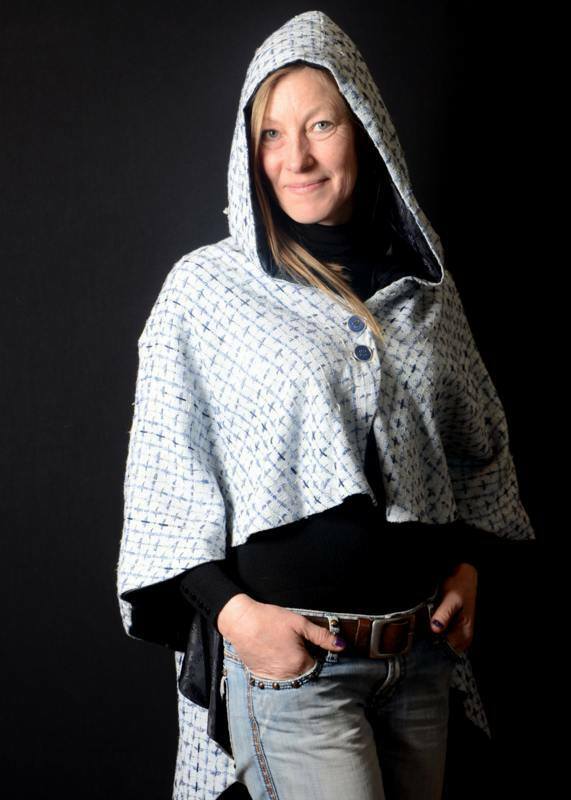 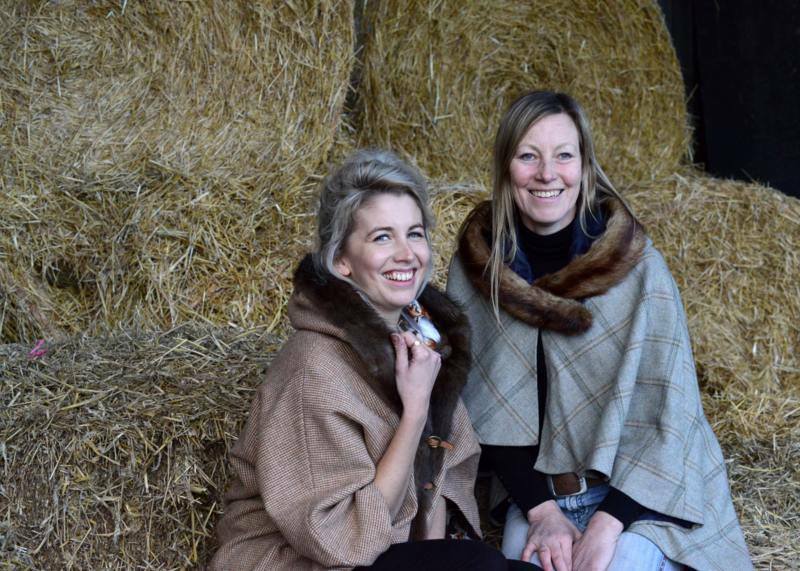 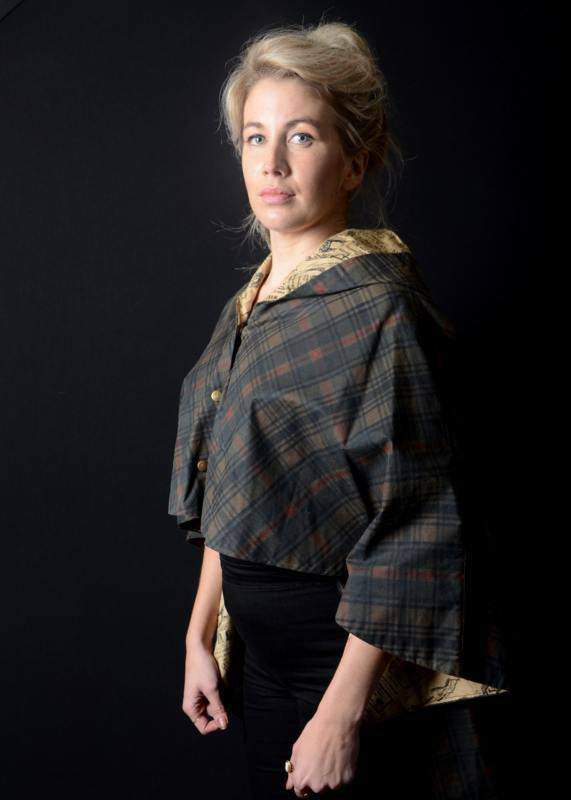 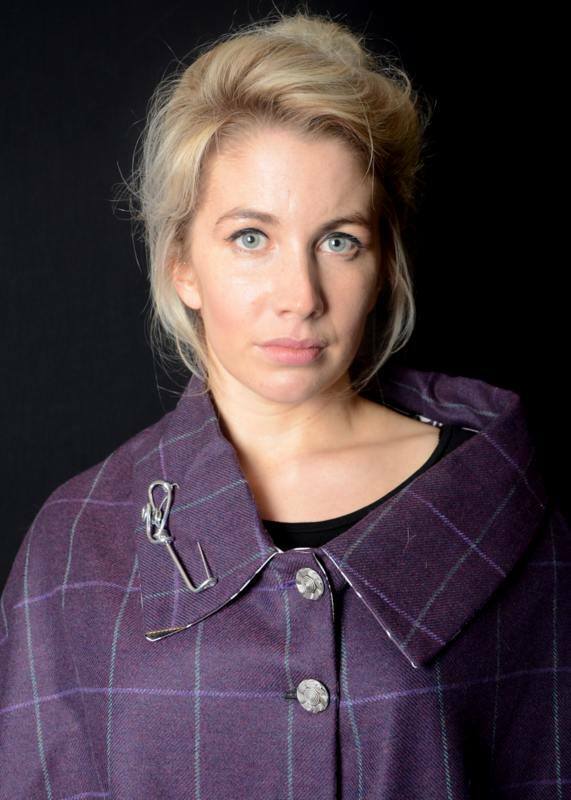 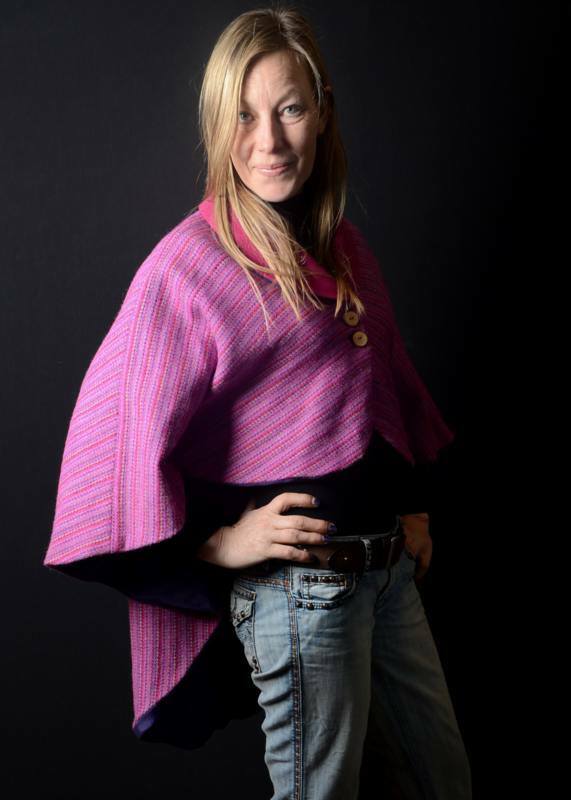 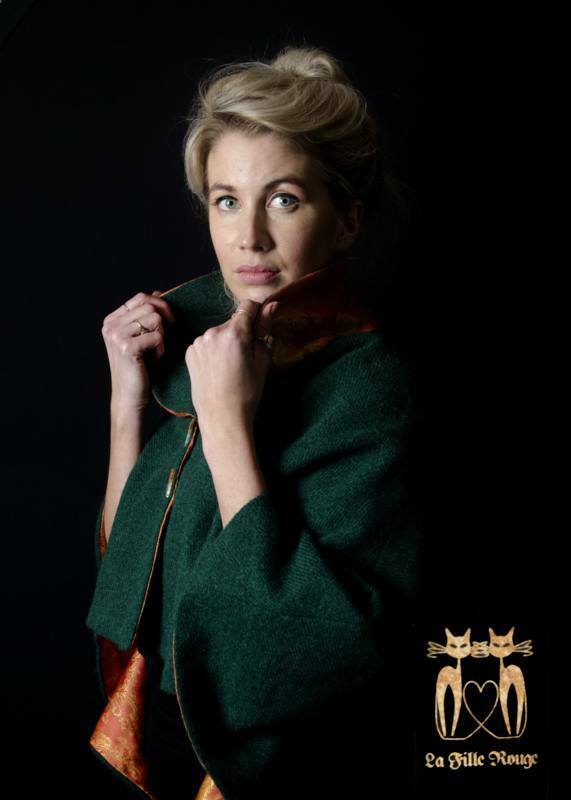 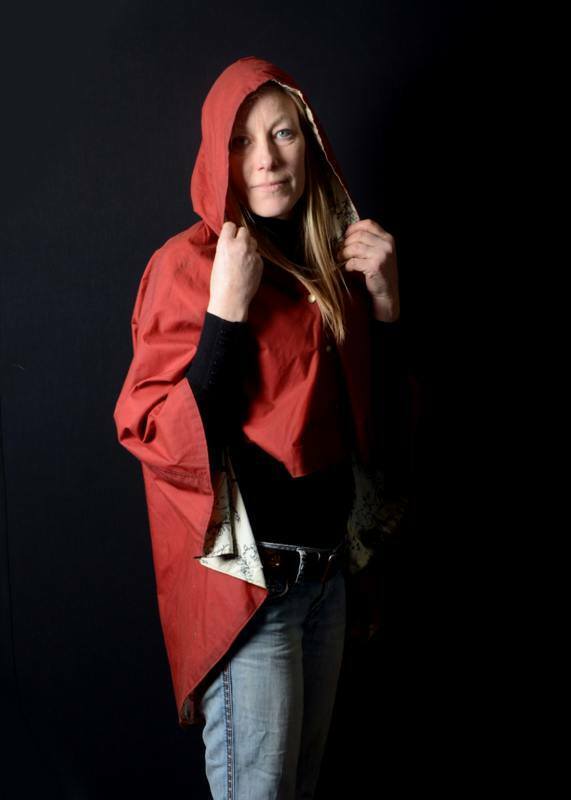 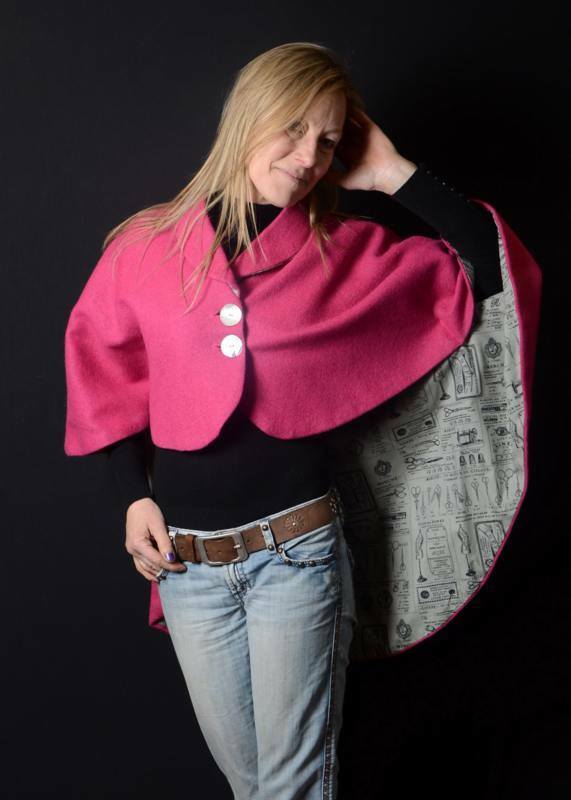 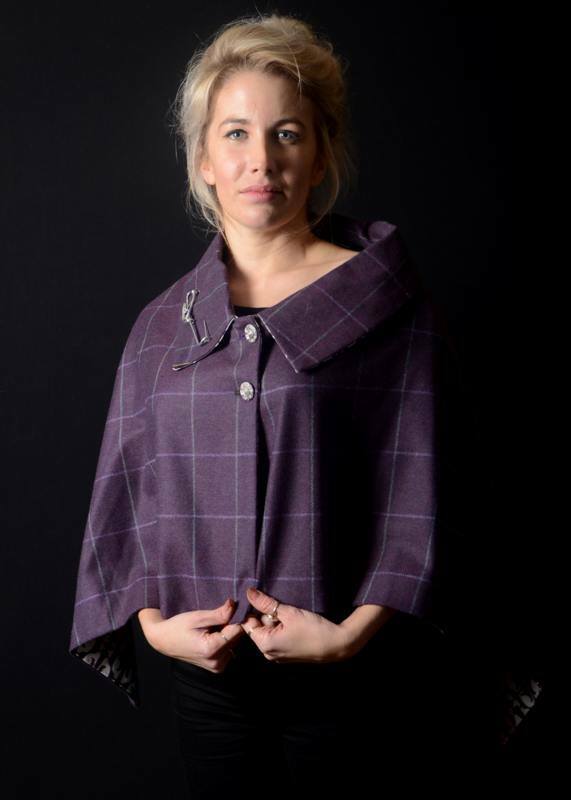 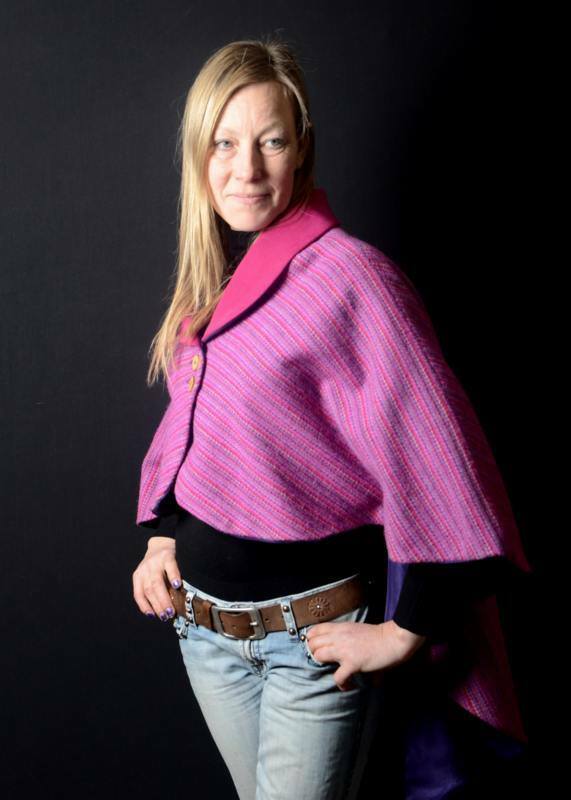 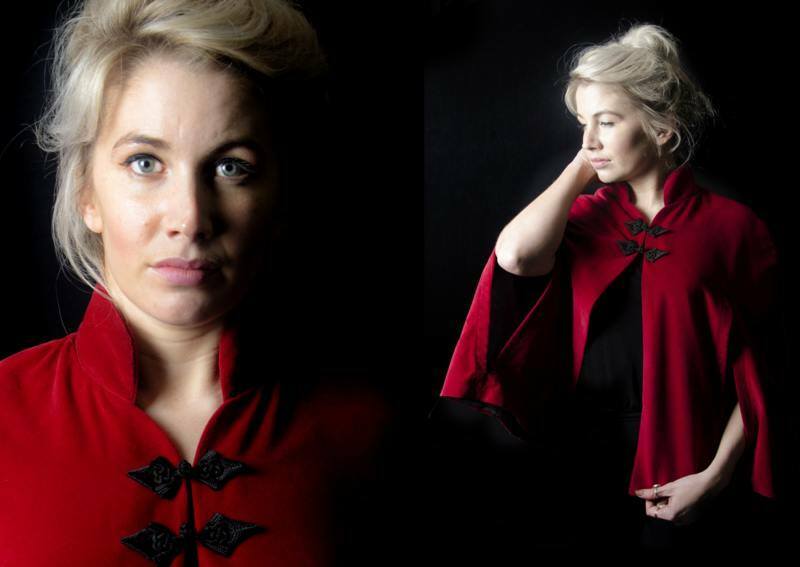 Our luxury reversible capes are made from the finest tweeds available. 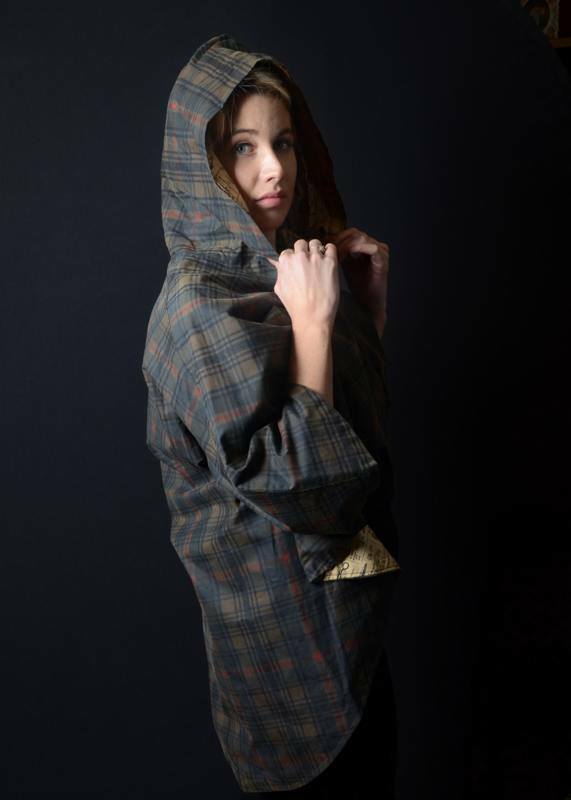 ​A handy garment which can be used for many occasions. 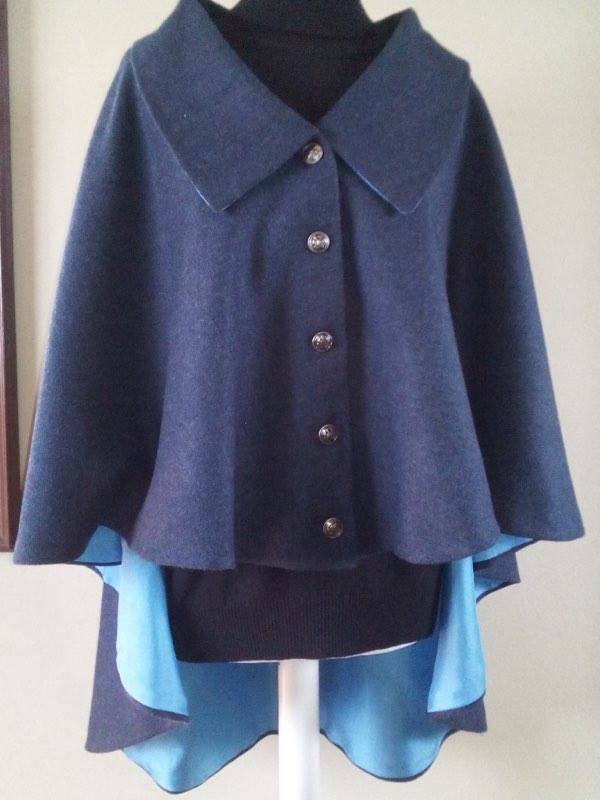 A small selection of previously ordered capes.